Kareena Kapoor Khan indeed – an ethereal beauty has an alluring charm, luminous skin, and an appealing body. Her incredible post-pregnancy transformation deserves all the applause there is. Striking the right balance between work and home, Kareena is a woman of substance and vigor. Kareena enjoyed her pregnancy and happily embraced her curves as well. We all saw her waving goodbye to her post-pregnancy weight and she managed to achieve something that most women can only dream of. Wondering how she did it? 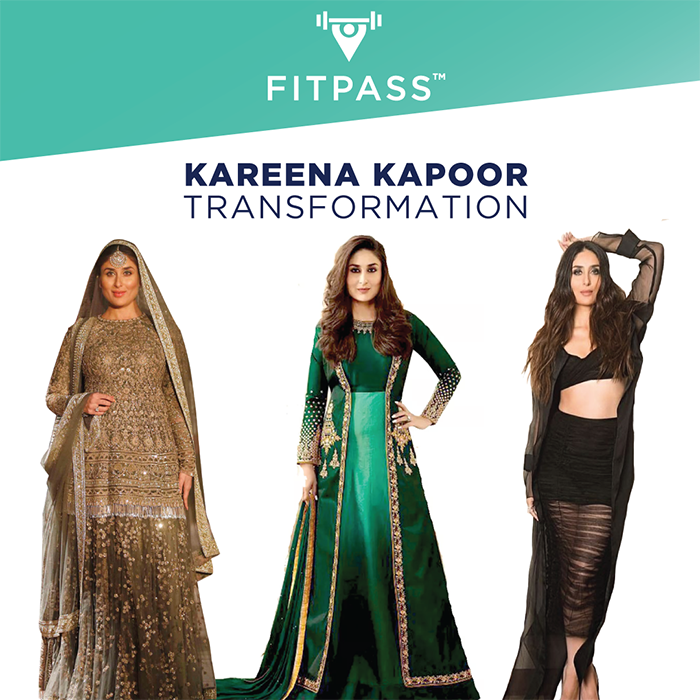 We dug deep and found out the fitness secrets Kareena swears by. Kareena starts her day with a glass of lemon water. She believes in having several small meals throughout the day. For breakfast, she likes to have milk or fresh juice. She eats either upma or idlis or prefers muesli. Mid-day snacks include nuts, coconut water, or fresh fruits. For lunch, Bebo eats the multigrain sandwich or home cooked dal with roti and vegetables and sometimes cheese with lots of salad. For dinner, she likes to have brown rice or roti with dal, green vegetables with curd and lots of salad or sometimes she prefers soup. Bebo does not prefer going to any air-conditioned gyms. Her everyday workout session comprises of intensive yoga and cardio to stay fit. Her cardio involves running, biking, and swimming. When she is outshooting she prefers going for long walks. She loves to do yoga every day and devotes at least an hour to it. She also practises Bikram Yoga in a room with 40% humidity. Her yoga routine includes around 40 types of Surya Namaskar, Bhujangasana for the strong back, Virabhadra for strong and lean legs and Naukasana for abs. Eat what your body craves but only eat in moderation. 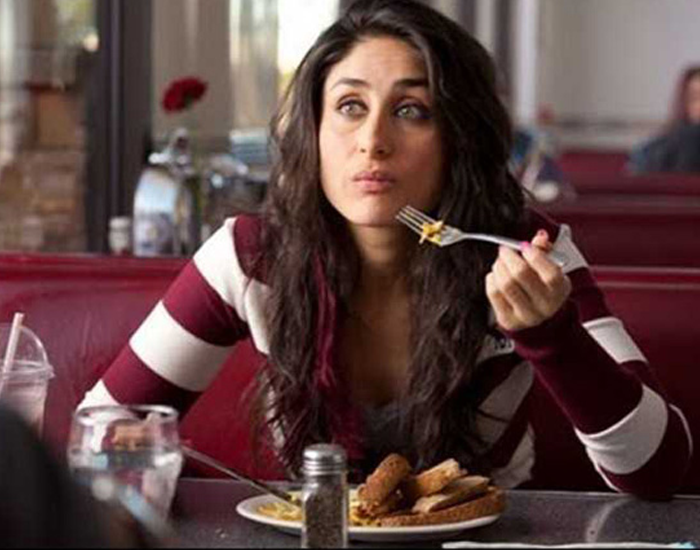 Kareena in an interview said, “My aim is not just to lose the weight I have put on. I don’t want to do it overnight. It may take longer, but I want to feel light, happy, and energetic throughout the process. And that is important.”Her flawless body is due to her hard work, strict diet regime and a disciplined lifestyle. She did not opt for any crash diets that promise sudden weight loss and take a toll on one’s health. Instead, she followed the right path. Now, you know how Bebo did it! Call it fangirling or a token of our appreciation, Kareena Kapoor Khan has laid a guidebook that every woman could use! Thanks a lot for inspiring women to be confident in their own skin, Bebo. We owe you one!